There are some great looking events coming up in Colorado Springs and the surrounding region this week. Looks like they’ll all take place on Friday and Saturday, so get these onto your calendar now. Some of them require reservations. They include a bottle release, beer and fondue dinner, a cultural celebration and an a brewery anniversary party! Saison Man.This long anticipated golden Belgian Ale is a ‘Post Industrial Session Saison’, brewed with weyerman pilsen, rye, flaked wheat, flaked oats, spelt, and grains of paradise.Â We hopped this beer with Styrian Goldings and Czech Saaz to create a bitter and dry profile, then fermented this recipe with 2 farmhouse yeast strains and Drie Bretta to create spicy and light barnyard notes. 4.9% ABV. We’ve attended one of the fondue and beer dinners at the Melting Pot and it was pretty great. $45.00 per person + tax+ gratuity, call for reservations: (719) 385-0300. Check out the menu on this one. Lettuce Wraps – Tasted with Lighting Wit / Crisp leaf lettuce, sliced cucumber, curly carrots, bean sprouts, fresh mint, honey roasted almonds, black sesame seeds and scallions served with a mandarin orange-ginger dressing. Traditional Swiss Fondue made with Seven Wolves IPA. Mardi Gras Cheddar Fondue made with Seven Wolves IPA. Classic Entrée –Tasted with Brass Ale Honey Amber / Seasoned choice Angus sirloin, Memphis-style BBQ pork medallion, Pacific white shrimp, herb-crusted all-natural breast of chicken, and teriyaki-marinated sirloin. Tasted with Get Buzzed Honey Ale / Dulche De Leche Dark Chocolate, Bittersweet dark chocolate swirled into rich and creamy dulce de leche and topped with coarse ground sea salt. Bananas and a hint of cinnamon swirled in white chocolate create the fondue version of this favorite dessert. In addition to their six flagship beers that will be on tap for the patio grand opening, Lone Tree Brewing Company will be tapping a new seasonal, Gran Cru Witbier. A food truck will be on site and non-alcoholic beverages for kids and non-drinkers will be available. 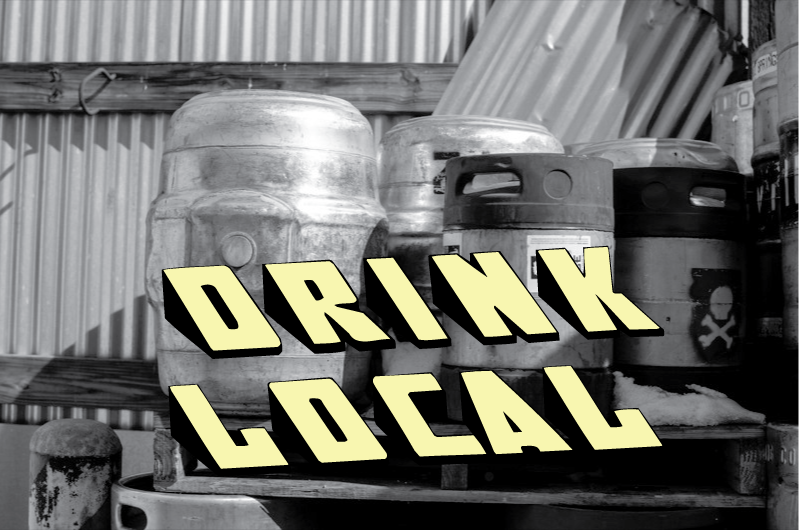 During the patio celebration, special pricing on all Lone Tree Brewing Company growler refills will be in effect; $3 off a 64 ounce LTB growler and $1 off a 32 ounce LTB Growler. The new patio will seat over 30 people and will be open 7 days a week, weather permitting, during regular business hours. Chapel of Our Saviour Episcopal Church announces the hosting of Feast of Saint Arnold, A Taste of Colorado’s Fine Craft beer, Wine, Spirits & Family Fun Zone. Tickets are now on sale. The event will take place on June 15th, 2013 on their historic grounds 4th & Polo Drive (near the Broodmoor Broadmoor Hotel) from 12noon until 4:30pm for general public, 11am – 4:30pm for VIP and Volksmarch walkers. Military discount tickets are available. A Volksmarch walk will kick off the event at 9am. All walkers earn a one-hour early entrance into the festival. Families and all abilities are encouraged to attend the 5K or 10K walks. Registration is available on day of event the cost is $3 per walker. Admission includes tastings from Colorado breweries, wines & distilleries along with seminars, live music, and tours of the historical Estate. In addition, there will be a free family fun zone with face painting, balloon art, Zoomobile and an interactive “how to” demonstration area. Local artisan food vendors will sell a feast-like selection. Bike valet parking is available and hosted by UpaDowna, any donations for bike valet services will be donated to UpaDowna.